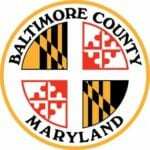 As the Northeast and Mid-Atlantic states brace for more wintry weather, the National Weather Service has issued a Winter Storm Warning for portions of Baltimore County. The Winter Storm Warning will be in effect from 10 a.m. on Saturday until 6 a.m. on Sunday. Significant ice is expected, along with some snow and sleet. Forecasters are calling for more than one quarter of an inch of ice along with total snow and sleet accumulations of 2 to 4 inches. The Winter Storm Warning covers portions of north central and western Maryland, northwest Virginia, and eastern West Virginia. Power outages and tree damage are likely due to the ice. The National Weather Service says that travel could be nearly impossible. A Winter Storm Warning means significant amounts of snow, sleet, and ice will make travel very hazardous. 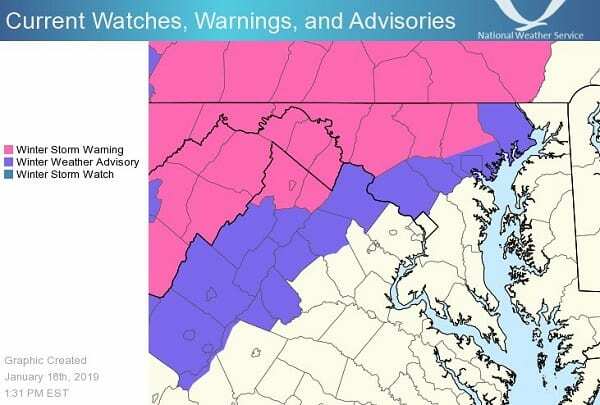 A Winter Weather Advisory has been issued for parts of Northern and Central Virginia and the I-95 corridor in Maryland. The Maryland Department of Transportation State Highway Administration (MDOT SHA) encourages motorists to keep a sharp eye on the weather conditions and plan accordingly for the weekend.